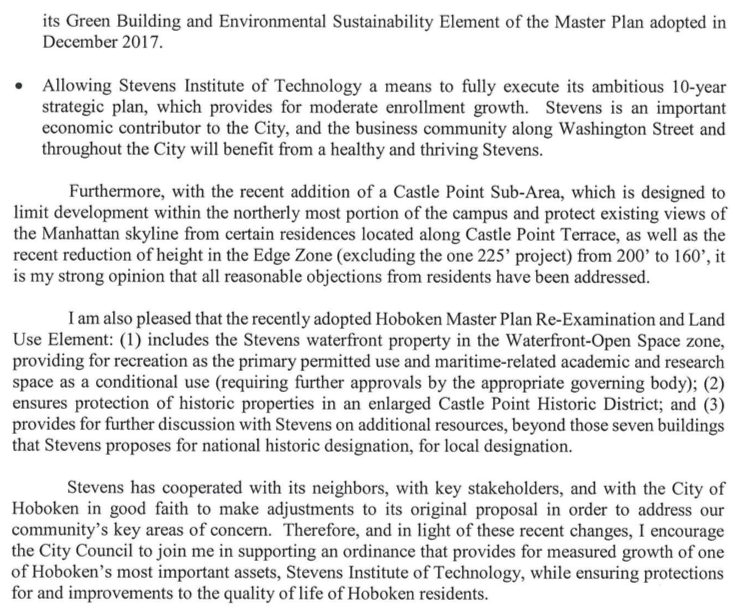 Mayor Ravi Bhalla who had been silent with the Hoboken public on the proposed massive Stevens rezoning (or redevelopment plans) before the City Council, came out in favor this week. 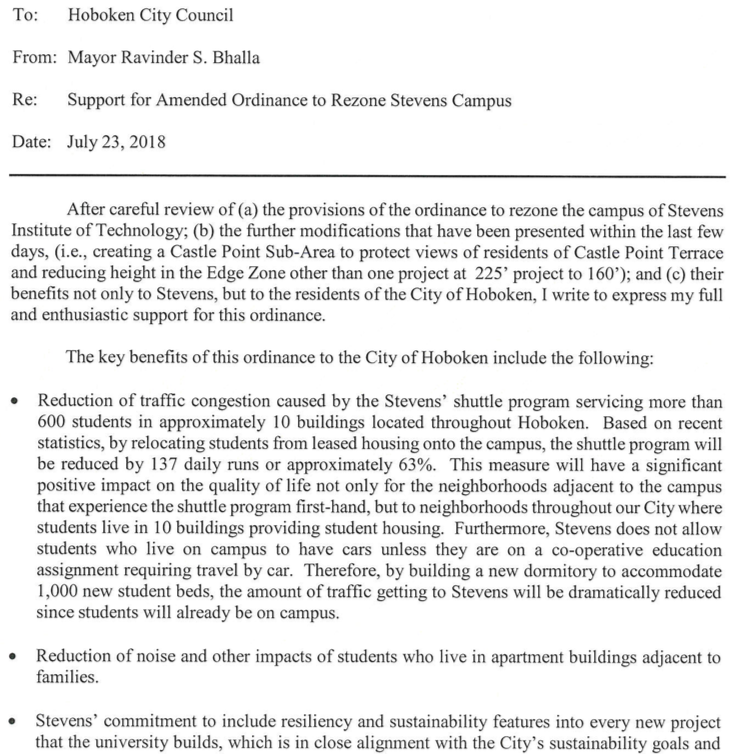 With tonight's vote likely to see the necessary five votes for passage on first reading, a second meeting to follow shortly in August will very likely see Stevens obtain approval. 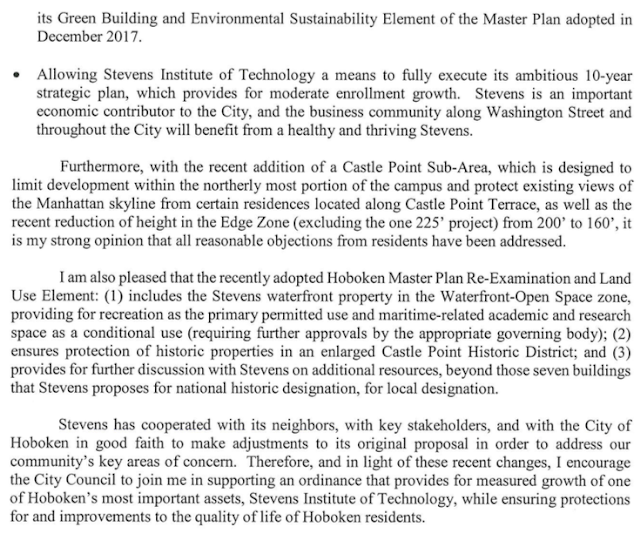 For many of those of you with skyline views in central and west Hoboken to the Empire State Building, kiss them goodbye. 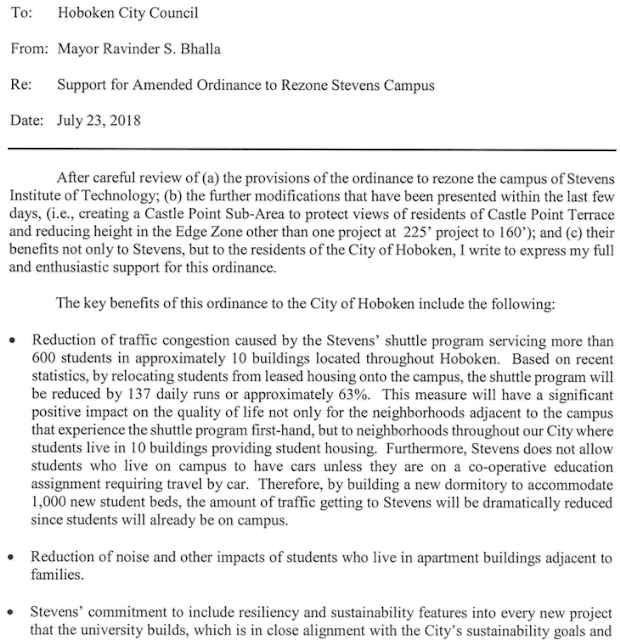 As for infrastructure, traffic or other enviornmental impact, there will be no official review.